All the active and semi-active participants can also apply for private lessons with our guest translating pianists. Chiao-han Liao, a native of Taiwan, is an active performer of solo and chamber music throughout the United States, Taiwan, Japan, and Finland. 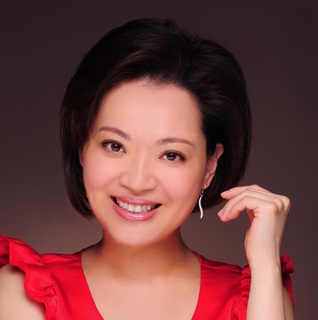 Ms. Liao is a graduate of the Curtis Institute of Music and the Juilliard School, where she received the Bachalor’s degree and the Master’s degree, respectively. During these six years, Ms. Liao studied with Seymour Lipkin in Piano and Lionel Party in harpsichord. At the Juilliard School, she was the official pianist of Karen Tuttle. Ms. Liao received her second Master’s degree from Yale School of Music in May of 2000, and Artist Diploma the following year, where she studied with Boris Berman. She began the piano at age of six. Since then, she has won numerous competitions and awards, including the first prize in the Taiwan National Piano Competition, finalist in the Third Memorial Frederic Chopin Competition, and the Chi-Mei Foundation Scholarship in Taiwan. At Yale School of Music, she received Lucy G. Moses Fellowship, Charles S. Miller Prize and Yale School of Music Alumni Prize. Ms. Liao has been chosen to receive the Presser Music Award for 2000-2001 from the Presser Foundation. She participated in XIV International Frederic Chopin Competition in Warsaw in 2000, and Internationaler Musikwettbewerb der ARD Munchen in 2002. 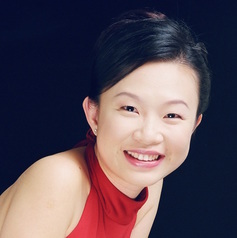 As an active chamber musician, Ms. Liao has participated in the Kneisel Hall, the First International Moscow State Conservatory Summer School, the Music Academy of the West, the Norfolk Summer Festival, Aino Ackte Institute in Finland, and Encuentro de Musica Y Academia de Santander in Spain. In the summer of 2005, She was invited to be the piano faculty of Young Artist Program of Yellow Barn Music School and Festival. At the same time she received Theodore Banning Memorial Scholarship to participate Yellow Barn Music School and Festival. She also collaborated with distinguish artists, such as Boris Berman, Natasha Brofsky, Roberto Diaz, Jean-Max Dussert, Chris Finckel, Pamela Frank, Peter Frankl, Clive Greensmith, Mark Hill, Maria Lambros, Violaine Melancon, Roman Totenberg, Pavel Vernikov, Radovan Vlatkovic, Donald Weilerstein and Rodney Winther. In Taiwan she also gives frequent chamber music concerts with Musica Daphne and Homeland Chamber Ensemble. After returning to Taiwan from 2002, Chiao-han has played more than 600 concerts including solo, concerto, chamber music, contemporary music and vocal performances. In 2011 she has participated in music production of Movie “Make up” and “Father’s lullby”. Chiao-han Liao has made two solo albums, “Encore” and “Xi Shi Fantasy” complete piano solo works of Fu Tong Wong; three chamber music albums, Beethoven complete works for cello and piano with cellist Grancinie Ouyang, “Encounter” and “Floral Sound”; four alnums of Chinese traditional songs, ‘The one I long for”, “The Sound of Antigua”, “Listen to Taiwan” and “Heritage Music of the Heart”. Ms. Liao also translates the Chinese version of Boris Berman’s book “Notes from the Piano Bench” and Michael Friedmann’s book “Ear Training for Twentieth-Century Music”. Currently, Ms. Liao is the Director of the Han Arts, and a member of the boards of directors of the Chamber Music Society of Taiwan and Spring Song Art Culture Foundation. A Native of Taiwan, pianist Grace Chung began her studies in the United States after winning Taiwan's National Piano Competition at age 14. She made her debut as a soloist with the Boston Philharmonic Orchestra in Jordon Hall at age 16. Winner of the Juilliard Piano Concerto Competition, Ms. Chung performed as the soloist with the Juilliard Orchestra in Alice Tully Hall. Her other major awards include the First Prize as well as the Best Performance of Chinese Composition in the Seventh International Chopin Piano Competition in Taiwan, the First Prize of the Yamaha Young artist Competition in 1999, and the chosen winner of the concerto competition at Rutgers University which followed 2 concerto appearances. Ms. Chung participated in the performance of Saint-Saens' Carnival of the Animals with the Philadelphia Orchestra and the Old York Road Symphony in Pennsylvania, premiered Taiwanese composer Chia-Yu Hsu's Piano Concerto with the Curtis Orchestra, and was invited as a guest soloist with the Taipei Symphony Orchestra. Ms. Chung is also active as a chamber musician. She has collaborated with many renowned musicians and performed both as a soloist and chamber musician in Jordan Hall and the Gardner Museum in Boston, Weill Recital Hall at Carnegie Hall, Alice Tully Hall and Merkin Hall in New York City, among other places in the US, Italy, Canada, Japan, Taiwan, and Malaysia. Ms. Chung was invited to serve as a faculty member at the InterHarmony International Music Festival in Italy in 2013 and 2015. Ms. Chung graduated from the Curtis Institute of Music (BM), The Juilliard School (MM), and Rutgers University (DMA). Her major teachers include Wha Kyung Byun, Seymour Lipkin, Jerome Lowenthal, and Susan Starr. Ms. Chung is currently full time Professor of Piano at the Tainan National University of the Arts in Taiwan. Pianist Shu-Ting Yang, an outstanding Doctoral alumnus of University of Cincinnati, College-Conservatory of Music, studied with Eugene Pridonoff, a famous pianist taught by Rudolf Serkin and also an international distinguished pedagogical professor. Dr. Yang got her Master in Piano Performance and also a Performance Diploma in French Horn from Indiana University, Bloomington, with world-famous professors including Michel Block, a renowned pianist and winner of the 1962 Leventritt Competition and the Arthur Rubinstein Award in Warsaw at the 1960 International Chopin Piano Competition, pianist Evelyn Brancart, a prizewinner in Queen Elisabeth-Belgium, and French Horn professor, Michael Hatfield, who is a prodigious pupil of Reynolds and the legendary Horn performer Philip Farkas. Dr. Yang performs regularly as a solo pianist, an accompanist, and a chamber player nationwide. Her playing is full of sensitivity and imagination. The audiences are fascinated by her skills in color change and storytelling-like quality. She is ingenious in giving lecture recitals with her sense of humor and witty speech. Dr. Yang is currently an Assistant Professor at the National Taiwan Normal University and the Chinese Culture University. She also holds teaching positions in top-ranking elementary schools and high schools which contain music program. Her easy-going teaching style and profound pedagogical background make her of the most popular lecturers in giving regular pedagogical lectures for piano teachers who seek for advanced teaching skills. As one of the most active pianists in Taiwan, Wei has appeared as a soloist with various orchestras in the United States, Europe and Taiwan. In addition, she has also given recitals in Germany, Poland, the United Kingdom, the Netherlands, Thailand, Hong Kong, China, and her home country of Taiwan. As the first Taiwanese musician to tour in Poland, she treated crowds in Warsaw, Poznan, Blawistok, and Kalisz with memorable performances that won her many accolades. 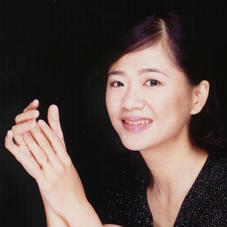 Her passion for chamber music propelled Wei to form the Taipei Fine Arts Trio in 1994. Known for its delicate balance of Taiwanese and Western musical style, the trio gained immediate nationwide popularity throughout Taiwan, earning various appearances in radio and television broadcasts. With the trio, Wei gave a series of performances and seminars in Beijing, Shanghai, and Hong Kong in promoting Taiwan-China cultural/musical exchange. The trio represented Taiwan Council of Planning and Development to participate in the first Taiwan Arts Festival in Seattle. The Taipei Fine Arts Trio had released 3 recordings: Taipei Fine Arts Trio, Musical Feast from Chi Mei (Piano Trio I), and Millennium 2000. Since 2005, Wei teamed up with her sister to perform duo piano recitals regularly. Ms. Wei began her study at the age of six in Taiwan, and moved to the United States when she reached the age of 15. She holds a Bachelor of Music in Piano Performance from the Indiana University where she graduated with performance certificate and a Master of Music in Piano Performance from the University of Southern California. Ms. Wei has studied with Ilana Mysior, Menahem Pressler, and John Perry. Upon the completion of her graduate degree, Ms. Wei returned to Taiwan in 1994 and began her career as a soloist and a chamber musician. She is currently teaching at the Taipei National University of Arts and Taipei University. Pianist Dr. Ru-Lin Lai received the Doctor of Music Art from Eastman School of Music (University of Rochester, New York). An excellent chamber musician, vocal accompanist, and a soloist, Ms. Lai is a full-time assistant professor at the National Taiwan University of Arts. She also teaches at the professional music program at the Affiliated High School of National Taiwan Normal University. In Taiwan, Ms. Lai has won the “Young Star Series” offered by National Theatre and Concert Hall and given solo recitals. She has performed under the batons of conductors Shao-chia Lu, Nien-Fu Liao, Shu-Ling Lu, Chung-Ping Hsieh; collaborating with the Taipei Symphony Orchestra, National Taiwan University of Arts Orchestra and String Orchestra. Those performances include Shostakovich Piano Concerto No.2, Grieg Piano Concerto in a minor, Mendelssohn Double Concerto for Piano and Violin, Mozart Concerto for Two Pianos, Gershwin Rhapsody in Blue (Two-piano version). Ms. Lai’s recent solo performances include: 2007 <The Moon Shining Bright, Let Us Sing the Poems in Our Hearts>, <A Beethoven Evening>; <Merry Christmas! 2008 Ru-Lin Lai Piano Recital>; 2011 <Kinderszenen>; 2013 <Fragments>; and 2015 <A Passionate Yearning>. Besides being a performer and judging in various competition and auditions, Ms. Lai is devoted in the art of piano collaboration and its education. She teaches and discusses the skills of piano performance, sight-reading, accompaniment and chamber music in seminars and workshop settings in hopes to promote and enrich musical connections in all forms. Her recent collaborations include: 2014 <The 12 Dancing Hands of the NTUA Pianists >, <Beau Soir-Jennifer Hsieh Violin Recital>, 2012 <Let’s Chamber! Ru-Lin Lai and Her Friends>.